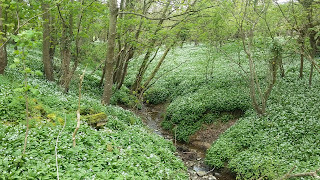 Notes from Ladysmock Cottage: Wild Garlic Oil. 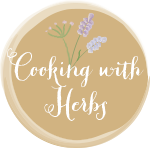 You can use this method to make any flavoured oil using any combination of herb / flavouring and oil. Use it in salad dressings, for marinades, as a dipping oil or spread on good quality bread after it has been griddled for garlic bread. 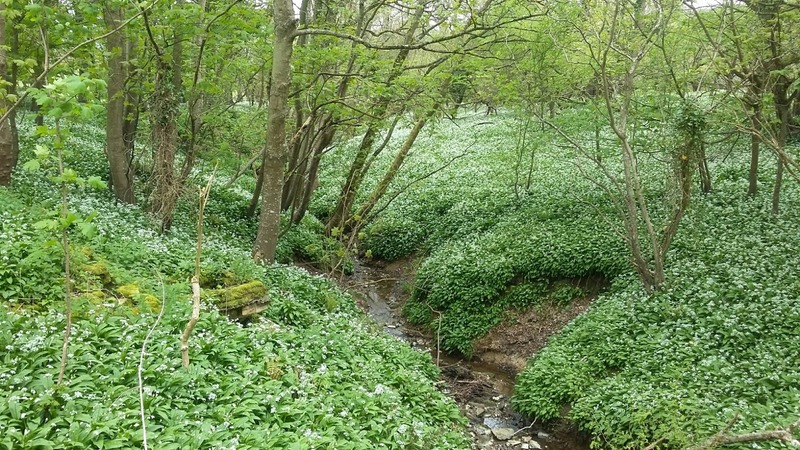 Roughly chop two large handfuls of wild garlic leaves and place in a saucepan. Cover with rapeseed oil and gently heat. Remove from the heat and leave to infuse as the oil cools. You can repeat this process a few time to increase the flavour of oil if desired. When the oil is cool place in a blender and blitz. Strain through a fine sieve or muslin. Spring French Peas with Chicken Breast.